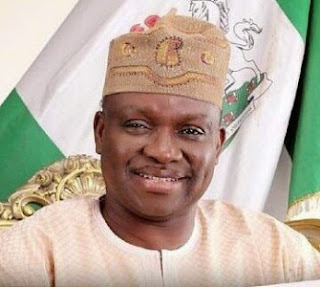 The Executive Governor of Ekiti State, Mr. Ayodele Fayose, has said he patronises drinking joints every Friday in order to get close to the ‘common man’ in the state. The governor said this in Abuja on Thursday while defending the concept of “stomach infrastructure” introduced by his government. He told journalists that it would be wrong to assume that stomach infrastructure meant only sharing of food and money to the people. Fayose said, “I also go to beer parlour on Fridays to stay with the common men there. Governance is not church; it is about diverse characters and you must relate with them as such.Christmas is coming, why do people go out of their ways to be shopping or doing other things if it is not just to make people merry? The governor said that most people who committed crime did so because they felt that life was no longer worthy of living for them and that there was no one to tell them that there is life for them. He said it was because of this that he set up a department for stomach infrastructure and also appointed a special assistant and a personal assistant on it. “So, my style, without apology, is that stomach infrastructure is a way of life for me, I will relate well with my people to alleviate poverty and hunger,” he added. He said that the welfare of the people in the society mattered, hence his condemnation of spending N3.3bn on the building of Governor’s House by his predecessor, ex-Governor Kayode Fayemi. “That is not to condemn or fight anybody but I have another instance, the University of Ado Ekiti has most of its courses yet to be accredited and they needed about N800m to sort out those problems, will the governor be living in affluence when the whole state is in darkness?,” he asked. On the face-off between him and members of the Ekiti State House of Assembly, the governor said he was already discussing with the speaker. He said he was sure that the leadership of the House was ready to work with him. I sure don't know about what you all think but the idea of a sitting Governor going to a beer parlour every friday is not proper at all and it has no moral justification in any sense of it. And to think that he said this in public? All i can say is Wow.